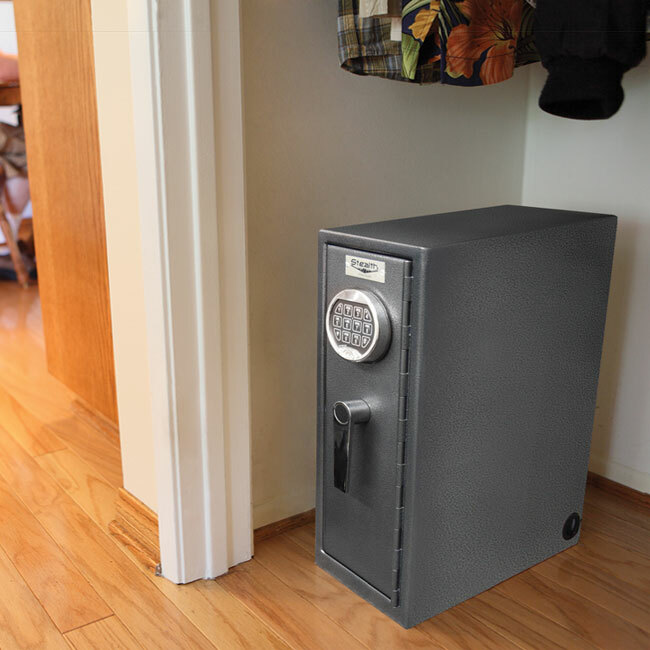 New and Improved, the Stealth Best College Dorm Safe has reached the level of perfection in protecting what's most important to a college student. If you're going off to college, you're likely headed there with a fair amount of expensive equipment: a laptop, smartphone, tablet, maybe even a video camera. These items are not cheap, and you definitely don't want to trust it to a cheap dorm safe. 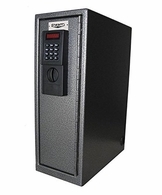 That's why Stealth made the Best College Dorm Safe, it's the highest quality dorm safe made from real steel with a real electronic lock, custom designed specifically for Dormitory Rooms. 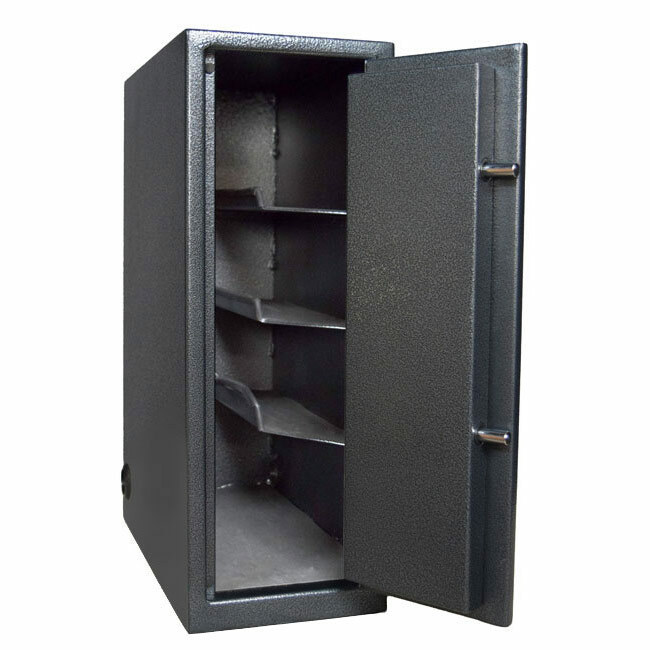 This is the only safe with a vertical design, perfectly set up for places where space is limited. It can slide under your desk right next to your desktop computer or conveniently in your closet. It's large enough to fit up to an 18" laptop and has 3 rubberized shelves perfect for storing your cellphone, watches or wallet without getting any scratches. 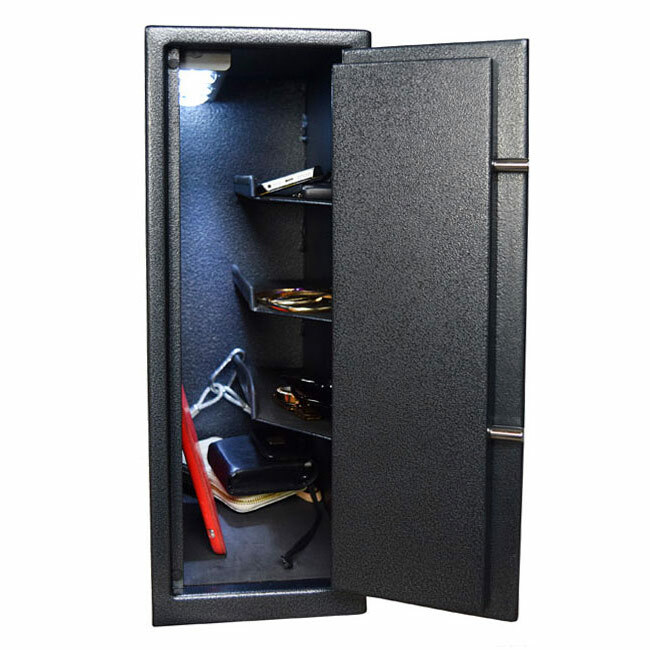 Located in the back corners of the safe are two access holes large enough to fit a power cord through enabling you to charge your electronics while they are locked inside. You can sleep safe knowing your phone, laptop and tablet won't be tampered with and they'll be fully charged when you wake up. New and Improved for the version 5.0 is the addition of a UL Approved NL Electronic Lock. 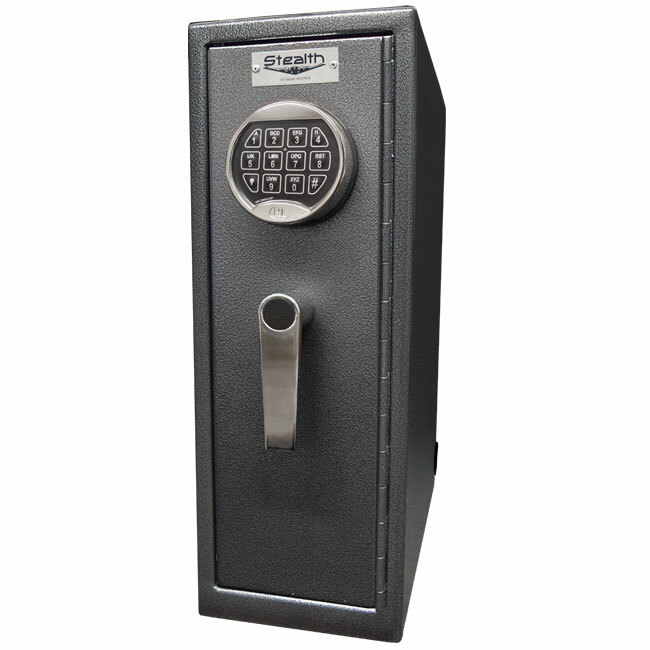 This lock is now considered the most reliable electronic lock in the Safe industry with 99.99% reliability. 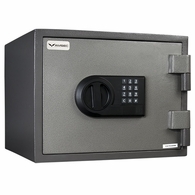 Having a safe is important, but being able to access the safe is even more important. With the best college dorm safe, you'll always be able to retrieve your notes and computer when you need it most. 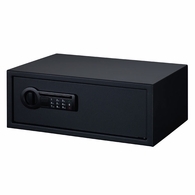 At the bottom of the safe are 4 pre-drilled mounting holes so you have the ability to bolt the safe down and Stealth also includes a free security cable as some universities prohibit mounting anything to their dorm rooms. Just wrap the cable around any fixed object such as your bed frame or desk and use the hook to attach both ends to the inside of the safe. 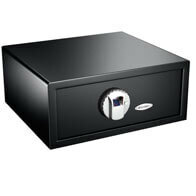 Stealth believes in and stands behind the Best College Dorm Safe by offering a 1 year warranty. College is a whirlwind and dorms are crowded. Save yourself the regret and the expense of replacing smartphones and laptops. Protect yourself with the Best College Dorm Safe. 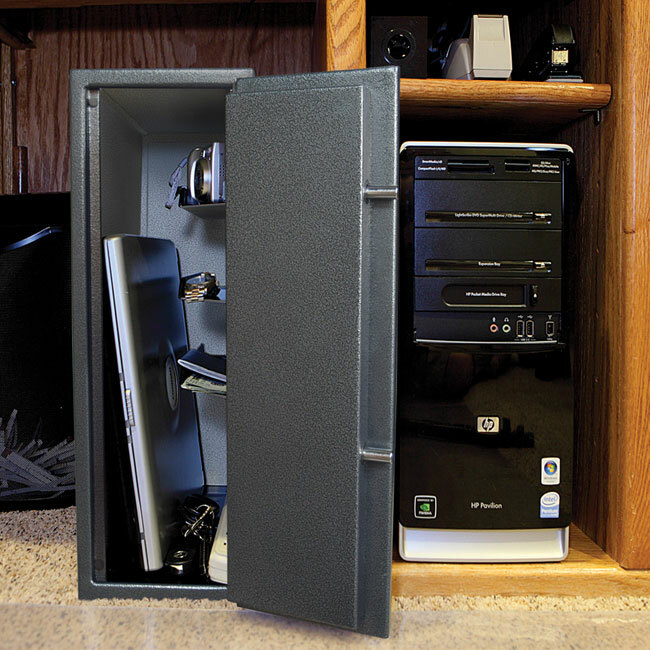 Adding an interior safe light can add accessibility to your Dorm Safe. If you're planning to anchor your Dorm Safe underneath your bed or in your closet, it might be tricky to access the items in your safe at night without disturbing your roommate. *Please note that the light will be delivered separately.